The Biomedical Research Foundation of the Academy of Athens is a non-profit institute dedicated to understanding, treating, and preventing human ailments through biomedical research. BRFAA seeks to serve science and medicine, and to participate fully in global innovation through its commitment to the true integration of biology, medicine, and informatics. Established by the Academy of Athens, the Foundation accommodates state-of-the-art facilities within two modern, 26,000m2 buildings that are located approximately 3km from the center of Athens. BRFAA’s contemporary campus and facilities are ideal for conducting and organizing events such as conferences, seminars, and workshops provided that the intended events are of a scientific, technological and cultural nature. Our 270 seat Auditorium offers stadium seating with built in microphones and is equipped with a large stage with 5-person panel, a translation booth, videoconference options, as well as live internet feeds. 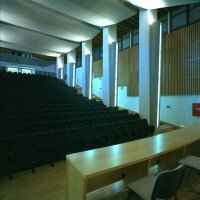 There are three reception areas outside of the Auditorium, as well as a courtyard that are also available for event use. 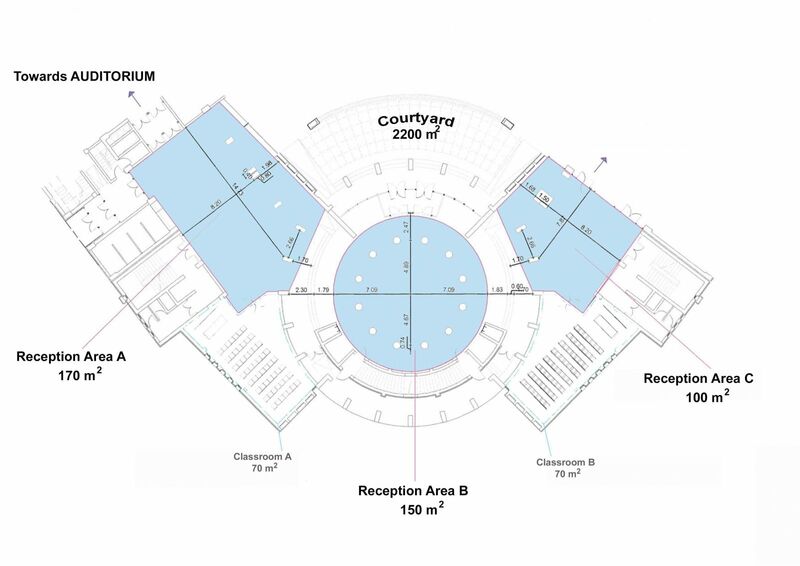 These areas can be used as exhibition areas with stands & kiosks, poster sessions, coffee and lunch breaks, etc. Additionally, there are two classrooms that cater to smaller functions or can supplement larger ones. They each have a capacity of 50 persons in lecture-style seating that can be arranged in whatever layout suits the event organizers. Each room is fully equipped with laptop and projector. There is also a large outdoor parking area is available for all event guests. BRFAA ensures the security, technical support and cleaning of auditorium for all events by qualified personnel.